Don’t take my word for it but I’ve been tipped off that there may be 3 more jackets coming soon, one being the Apex Jacket that was out last year. This is a warmer coat option for those of you concerned that the Audrey isn’t cold enough for your parts of the world. 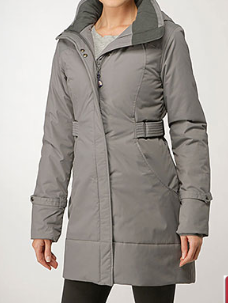 This is a really nice warm and fashionable coat that is water and wind resistant just like the Audrey but it’s way warmer and longer. The price for this one was $298 last year so if your holding out for a warm lulu jacket start saving your pennies.